Launched 10 year ago, Picasa has turned into a powerful digital image viewer with integrated web photo galleries. It has Window, Mac and Linux desktop software versions. 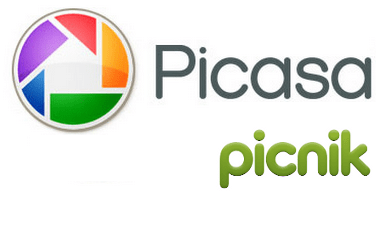 Since 2006 Picasa helps users store photos online providing free and paid space for your photos. On the one hand, the two photo programs Picasa and Picnik have totally different goals. Picasa scans all image files on your computer and shows them to you in an easy to browse manner. Thus, you can find old and forgotten pictures or open files with exotic extensions. Picasa can open RAW camera files, Adobe Photoshop image files along with ordinary JPEG and PNG photos. 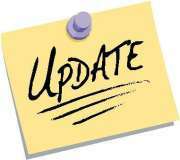 The photo editing functionality in Picasa is limited since the application was created for viewing and online photo sharing. Picnik, the second photo service run by Google, is an excellent online photo editor. It lets you edit images, create collages and print your pictures. Picnik is simple to work with and addionally has lots of options for advanced photo enhancement. On the other hand, Picasa and Picnik have similar functionality. They make a pair and can be wrapped into one entity. Obviously, the demand for all-in-one solutions is always high. Many of us want one photo program to view, edit, share and print photos. That’s why the idea to save and move some photo editing tools from Picnik to Picasa makes sense. But the large number of users like me prefers to download different photo programs for each task. There have already been photo applications that strive to do all job for you before Picasa-Picnik union. Look at Photoscape for example. It’s taken for granted that the photo editor edits pictures. At the same time, Photoscape allows you to view images. However, I do not use this software as a photo viewer. Another free photo software, FastStone Image Viewer both helps view and edit images. I have never used it for image editing on purpose. Upon the whole, the suggestion to merge Picasa and Picnik sounds great until it comes to quality, choice of tools and easiness in use. Plus, Picnik was popular due to its web nature. Why should we downshift to offline editing with Picasa now? One thing seems to be clear: Picasa and Picnik will never be the same again. You should either get used to Picasa or try other online photo editors like Pixlr-o-Matic, BeFunky, piZap, etc. Don't Cry for Picnik! Welcome PicMonkey! A review of PicMonkey, the online photo editor made by ex-Picnik team. PICASA DOESN'T HAVE HALF THE STUFF THAT PICNIK HAD. HOW DO I DOWNLOAD OR GET PICMONKEY?